A former National Guard captain whose military service was supposed to end seven years ago was sent to Iraq for a year by mistake because of an incorrect discharge date in his records. 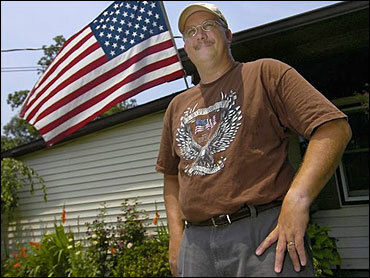 Jim Dillinger was 43 when he received a letter from the Defense Department in May 2004 saying he was one of 5,600 members of the Individual Ready Reserve being sent to Iraq. The IRR is a component of the Army made up of retired soldiers who agree to be subject to recall to active duty for a defined time. When Dillinger signed up for the IRR in 1997, his contract said his military obligation would end in April 1999. But his personnel record mistakenly said his service would end in July 2010 — the date he would have been discharged had he remained in the Ohio National Guard. He had resigned his captain's commission in 1996 after serving 17 years in the Guard. "They were still carrying me on the books as a captain," Dillinger, now 45, told the Cincinnati Enquirer. "And nobody caught it. Including me." Dillinger was told he had not been discharged because of the military's "stop-loss" program, which kept thousands of soldiers from ending their tours or retiring. "That explanation didn't make complete sense to me, but I accepted it," he said. "I'd been in the Army a long time, and when they tell you something, you believe it." A message left at a listing for Jim Dillinger in Mount Orab was not immediately returned Tuesday evening. Dillinger left in January 2005 for Iraq, where he spent a year searching for and destroying roadside bombs. When he returned to the U.S. in December, he saw the erroneous discharge date in his records. "My eyes popped out of my head," he said. "I couldn't believe that was right. And I knew darn well that it could mean I'd be deployed again." He got the Guard and the Army Human Resources Command to investigate. On May 22, a human resources assistant reported that Dillinger's discharge date was incorrect. His discharge papers were issued the next day, followed by apologies. The Human Resources Command did not respond to a request for comment Tuesday. "I honestly believe I helped accomplish something over there, and the men I served with, they are like brothers to me," Dillinger said. "But I can't get past the fact that I should never have been sent there in the first place."